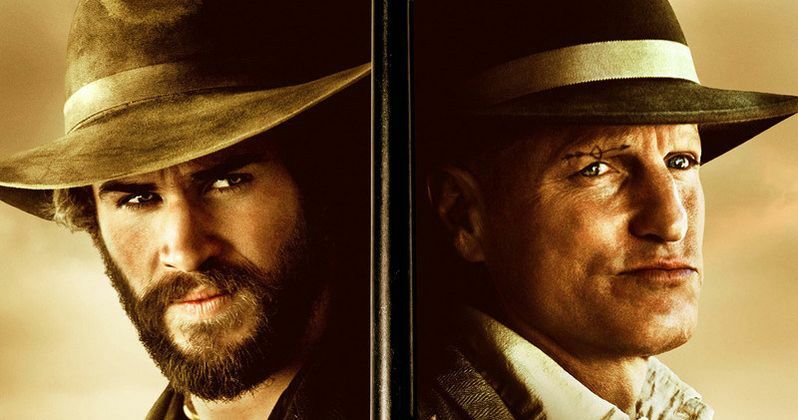 After starring in all four Hunger Games movies together, as Gale and Haymitch, Liam Hemsworth and Woody Harrelson are reuniting for a much different movie entitled The Duel. In the beloved Hunger Games franchise, both Gale and Haymitch were on the same side, as they fought to take down an evil tyrant, but The Duel pits these actors against each other, as you can see in the first trailer. Lionsgate Premiere has set a June 24 release date for The Duel, which puts it up against 20th Century Fox's Independence Day: Resurgence, STX's Free State of Jones and Sony's The Shallows. The Duel stars Liam Hemsworth as David Kingston, a Texas Ranger who investigates a series of murders in a small town led by a charismatic preacher named Abraham Brant, played by Woody Harrelson. However, the routine undercover investigation soon turns personal for the ranger who must solve the case before he loses everything to the mysterious town. We learn in the trailer, courtesy of Entertainment Weekly, that this enigmatic preacher is the same man who killed David's father several years ago. The supporting cast includes Alice Braga, Emory Cohen, William Sadler, Raphael Sbarge, Benedict Samuel, Christopher Berry and Jose Zuniga. Kieran Darcy-Smith (Wish You Were Here) directs from a script by Matt Cook (Triple 9). The script was previously featured on The Black List in 2009, as one of that year's top unproduced screenplays. While The Duel marks Kieran Darcy-Smith's second feature length directorial effort, he was also an actor in his native Australia before he started working behind the camera. The actor previously appeared in hit Australian TV shows like Home and Away, along with feature films such as the critically-acclaimed Animal Kingdom, The Reef, The Square and The Cave. His directorial debut Wish You Were Here reunited him with Animal Kingdom star Joel Edgerton. Along with the new trailer, we also have the first poster for The Duel featuring both Liam Hemsworth and Woody Harrelson. The Western genre has seen a resurgence of late, with big budget movies like The Revenant and The Hateful Eight hitting theaters last year, along with critically-acclaimed indies like Slow West and The Homesman. Take a look at the new trailer and poster, and let us know if you think The Duel could be the next Western hit.